In conjunction with the exhibition “CONEY ISLAND: VISIONS OF AN AMERICAN DREAMLAND, 1861-2008” @ Yale’s Wadsworth Atheneum Museum of Art a symposium will take place on February 28th. 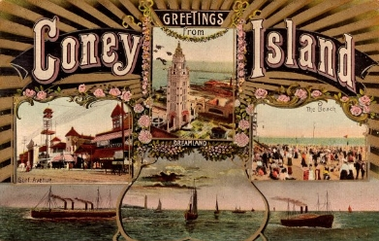 Categories: Events, Panel Discussions, Symposiums Topics: Coney Island, dreamland exhibit. Bookmark the permalink.